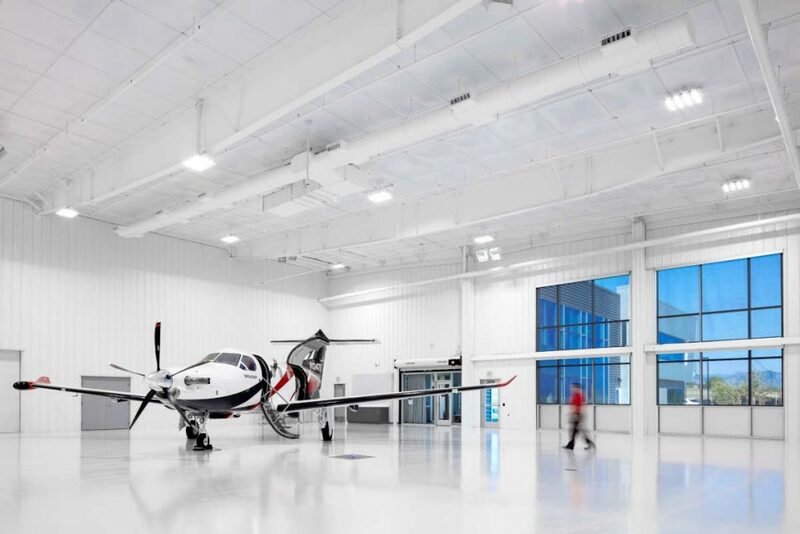 Pilatus Business Aircraft opened a new completion centre in Broomfield, Colorado, designed to conduct aircraft interior and exterior completions for all Pilatus PC-12 NG and PC-24 aircraft delivering to North and South America. In a ceremony at Rocky Mountain Metropolitan Airport yesterday, more than 200 Pilatus executives, employees, dealers and suppliers were joined by local and state government officials and invited guests for a grand opening ceremony. The new 118,000-square-foot (11,000-square-metre) facility features modern fabrication and installation shops, along with spare parts inventory to support Pilatus’ Authorized Pilatus Service Centre network, as well as offices for technical support and business management. This new completions centre consolidates operations Pilatus has performed at the Rocky Mountain Metropolitan Airport for more than 20 years. “Over the past 20 years we have built up a tremendously talented workforce that maintains the high-quality standards set by our Swiss parent company,” said Thomas Bosshard, president and CEO of Pilatus Business Aircraft. Pilatus explains the North and South American markets make up 60 to 70 per cent of its consolidated annual business aircraft sales. Typically, around 55 PC-12 NG single-engine turboprop aircraft are completed in Broomfield each year, and the company plans for an additional 25 to 30 of its new PC-24 jets to flow through the facility annually. Pilatus expects to increase employment by approximately 30 per cent over the next three years to handle this growth. Pilatus also decided to continue an apprenticeship program at its new facility to meet its growing needs. Modelled after the apprenticeship system common in Switzerland, the Broomfield company applied this employee training, education, and development program to its U.S. workforce. By combining on-the-job training and formal classroom education, apprentices are paid to learn valuable trade skills, earn a college degree, and enter the workforce without college debt.